is doing in near real-time. between the field and the office. If you could build your own app for your company, what would it include? 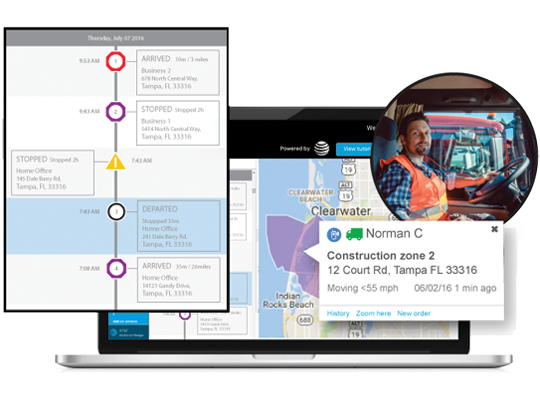 Send job information out, track progress, and manage workloads all in near real-time. Digitize and enhance your forms with features such as photo capture, calculations, and e-mails for instant digital receipts. 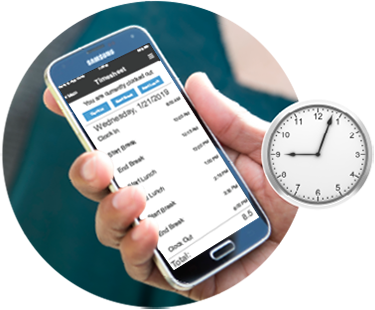 Allow users to clock in and out from the field, as well as record breaks and lunches. Location for employees update whenever they interact with forms, timekeeping, or job statuses. 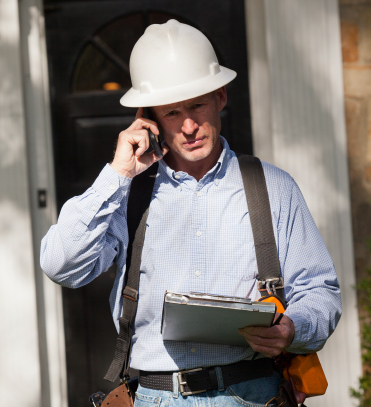 AT&T Workforce Manager is designed with mobility in mind. 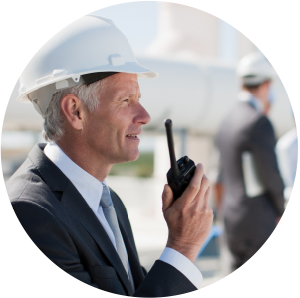 Compatible with a wide array of handset and tablet devices, our software is built for business operations in the field. 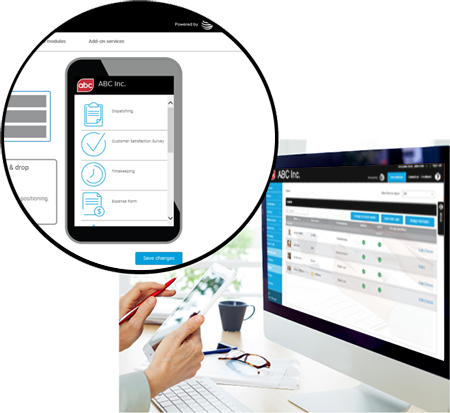 It can help you organize job information, communicate with system administrators, and it gives you the freedom to monitor your employees wherever their assignments take them. 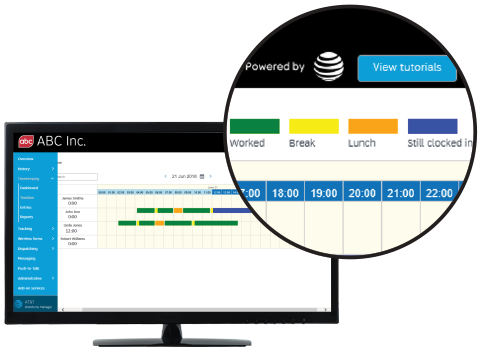 AT&T Workforce Manager is user-friendly and can increase the productivity in your remote employees, without taking their attention away from the tasks they work on. User-friendly interfaces make implementation easy. Manage timekeeping, dispatching and wireless forms with the data you receive from your remote employees. Compatible with Android and IOS handset and tablet devices. Stay up-to-date regarding the daily tasks of your business. Job dispatching makes it possible to eliminate the return trips employees have to make to the office as priorities shift during the day. Change is constant, and directives can transform drastically in little to no time. Keep a handle on your company’s workload, regardless of what curveballs arise. Employees can receive job orders and updates in near real-time, ultimately making them more effective, and versatile. Allow employees to work smarter by improving their coordination with system administrators. Employees can update the status of an assigned job on-the-fly, eliminating any down time trying to reach the office to inform a dispatcher. 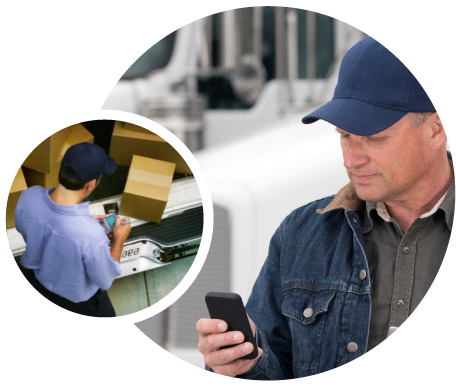 Create, dispatch and manage work orders for employees in the field. 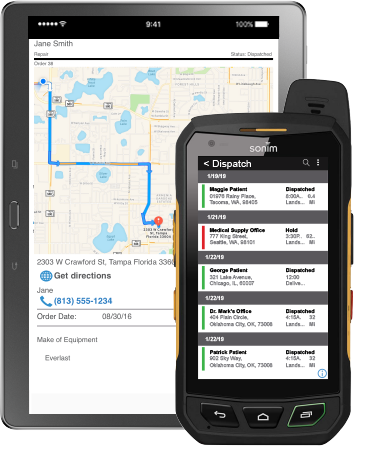 Send detailed orders with customized fields to mobile phones, or tablet devices. When an employee updates the status of an order from the field, managers instantly know the job status and can adjust workloads. View the history of all jobs completed with detailed information collected from workers at job sites. Streamline daily tasks for faster, accurate billing. Automate scheduled work orders and allocate them logically. Allow your employees to punch in or out while on-the-go and quickly record their lunch and break times. With each time punch, your employees have the ability fill out an attached form that can capture photos, signatures, and data about current jobs, vehicles, inspections, and odometer readings. Increase employee productivity by allowing them to clock in or out from job locations, eliminating the need to travel to an office location each day. 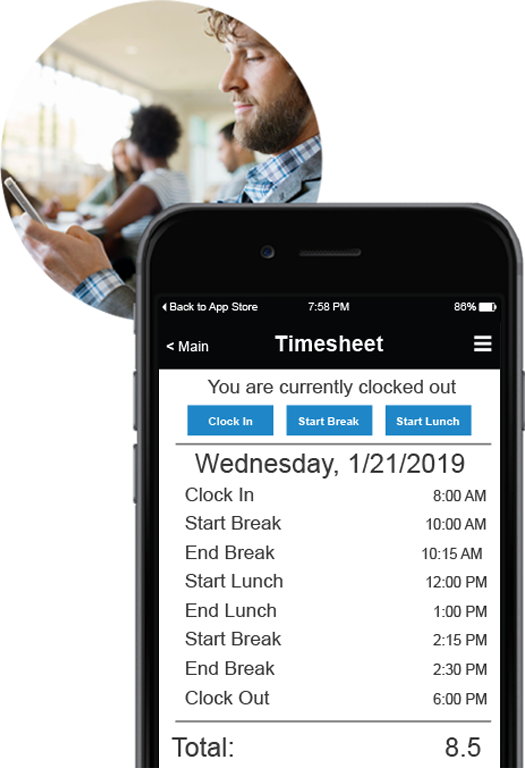 Decrease payout errors since administrators can see exactly how long employees spend on the clock and no longer rely on written timecards. 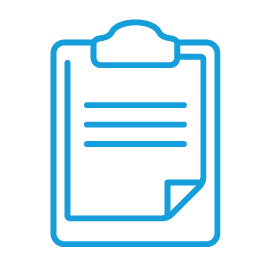 Receive additional documentation from the field, with forms attached to time punches, to create a comprehensive picture regarding issues that occur away from the office. When employees punch in or out while on-the-go, managers receive the data right away to verify the status of their employee. If a form is attached to the time clock action, photos, signatures, and data about current jobs, vehicles, inspections, and odometer readings can all be sent back to the office in an instant. Keeping track of when employees are on or off the clock and when breaks and lunches occur, drastically reduces payroll errors. Timekeeping expenses become easily manageable. 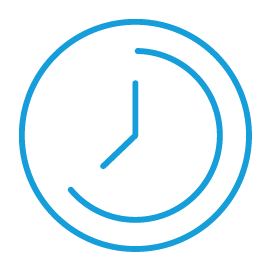 Pay workers for the exact amount of time they spend on the clock and easily export that data for analysis. 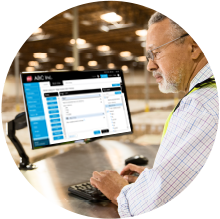 Run reports on time clock activities by user, or from your entire workforce. Edit timesheet information in the event a worker forgets to clock in or out during a shift or enters incorrect information into a clock in/out form field. 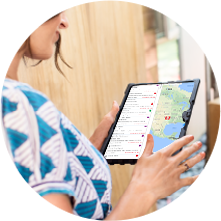 With event-based tracking, every time an employee clocks in or out, goes on lunch or a break, or fills out any form, their location is shown and recorded in an easy-to-read list of events on their history map. 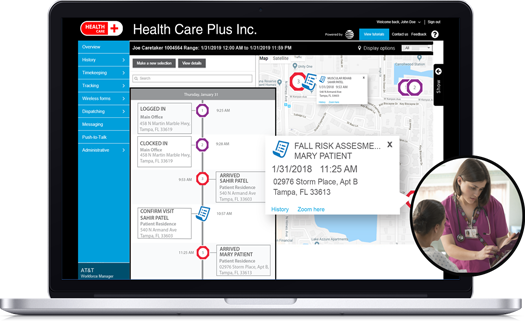 This creates a snapshot view for each action any employee completes, and illustrates a breadcrumb trail displaying where a user has been without ever needing true GPS tracking. Employees clock in, out, and record lunches and break as normal, while the office receives a list of activities being completed as they occur. When an employee fills out a form, the form data as well as the location it was completed at is sent seamlessly back to the office. Monitor field activities and data entries in near real-time, via an intuitive, yet user-friendly web dashboard. 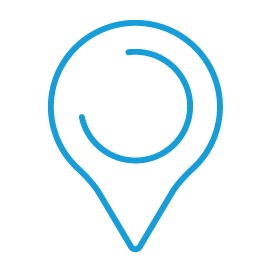 View locations for timekeeping events and any time a user fills out a wireless form to increase overall company accountability. All entries are shown in an easy to read list that highlight exactly what an employee accomplished throughout the workday. Reduce the amount of paperwork employees have to fill out on the job. Less paperwork means less room for error. 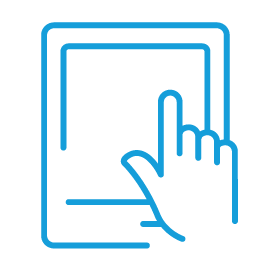 Wireless forms are highly customizable and able to guide employees along proper troubleshooting routes to help them determine the best course of action quickly and effectively. Forms are laid out in an easy-to-use way that helps employees spend less time filling them out. 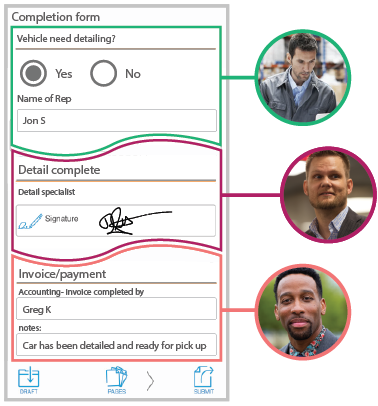 Forms are filled out directly on a handset or tablet, making paper and clipboards obsolete. Decision logic makes it easy to navigate forms, ensuring employees only fill out information related to the job at hand. Employees can include pictures of the job, fill out fields that calculate automatically, and send emails to the customer from within a form. 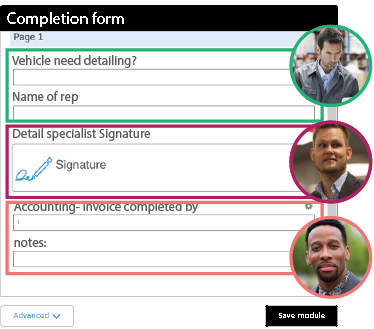 Form Workflows is a powerful tool that allows you and your colleagues to collaborate on completing a single wireless form. You can begin filling out a document from the field via mobile device, and then effortlessly send the unfinished product to another employee for finalization and storage. 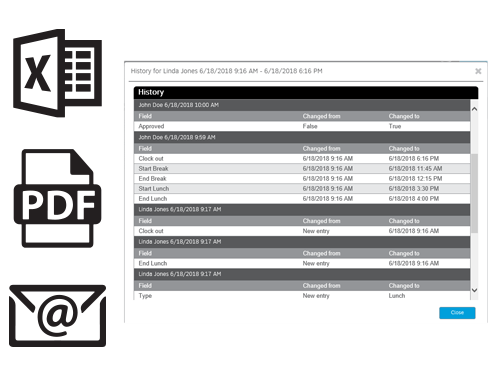 Save time while in the field by completing only part of a digital form before sending it off to another employee. Never worry about losing vital paper documents while away from the office. Reduce the amount of paper your business uses. AT&T Workforce Manager allows you to send the forms your employees need directly to their phone or tablet. Display a snapshot of data in the form of graphs for easy analysis. There are hundreds of templates to choose from or you can customize your own form. 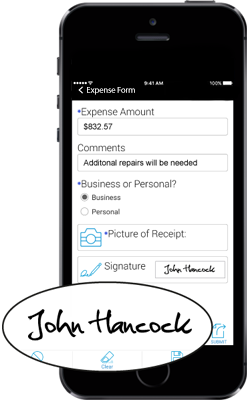 Enhance forms with features such as photo capture, calculations, and e-mails for instant digital receipts. Receive form data back to the office immediately for analysis. No more waiting for an employee to return to the office at the end of the day. Reduce errors by eliminating issues with handwriting or incorrectly filled out forms. Repeatable form fields capture multiple responses for the same question, eliminating the need for unnecessarily lengthy forms. Pages of a form can be assigned to predetermined users, forming a chain of command. Documents that are sent via mobile device provide for quick data access and accurate information flows. Form Workflows fluidizes companies’ internal communications, boosting productivity. 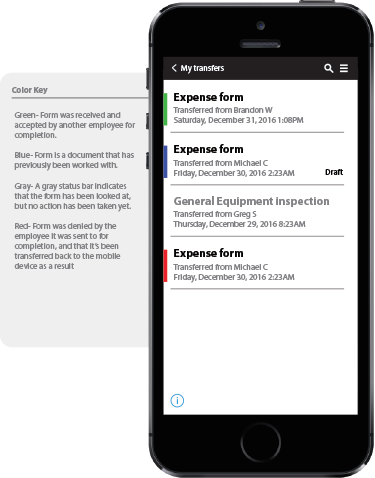 Document transfers between employees’ mobile devices are seamless and secure. Intelligent tracking makes it possible for managers and system administrators to monitor remote employees in near real-time. Administrators are granted full visibility of users, increasing the effectiveness of workforce management. 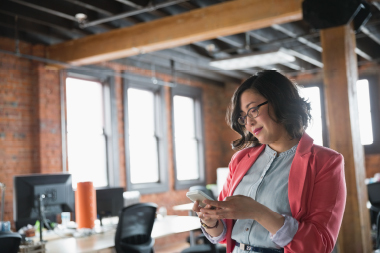 Greater transparency between users and administrators brings about a stronger sense of accountability and fewer instances of negative employee behavior. 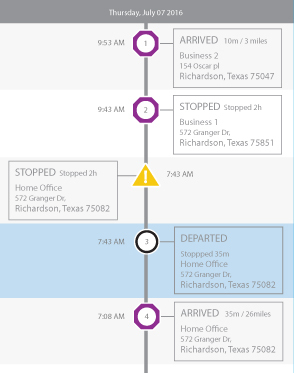 Quickly visualize the whereabouts and availability of your employees. Status icons make viewing employee actions a breeze. Group icons show how many employees are in a specific location without cluttering the virtual map. The reports feature makes it easy to document your daily business operations. Run reports as needed or even schedule reports to be distributed at a later date. 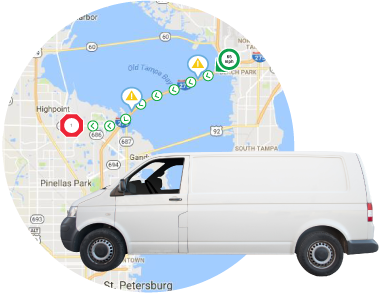 Reports can be used to monitor employee location history or audit undesired vehicle activity. Design and build industry-tailored modules to increase workflow and processes. It doesn’t matter if you specialize in construction or government, you’ll have the option to select the recommended modules for those particular industries. 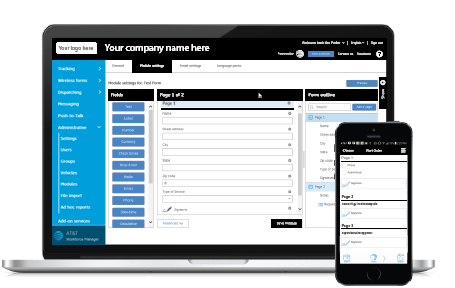 In addition to individual modules, you can give your company the proper branding that it needs with the application’s customization feature. Adding your company logo and brand colors to your mobile device or desktop captures the essence of your company. Expand your brand with items like printout receipts featuring your company logo. Create modules that address your specific business needs. Give your modules your company’s unique look with highly customizable branding options. Stand out from your competitors with branding that expresses your unique business message.